SIX SENSES SPAS IS RESPONSIBLE for spa management and operations at Evason Hua Hin, located three hours by car from Bangkok and ideally situated on the Gulf of Siam. Six Senses Spa provides a peaceful sanctuary away from the bustle of Hua Hin, the oldest beach town, often associated with the Thai elite. The spa has been integrated into the surrounding landscape of gardens and lotus ponds. The natural environment has provided inspiration for the spa’s four indoor treatment rooms, featuring floor-to-ceiling windows that reveal intimate outdoor gardens. An additional six treatment pavilions, two of which are open-air, are surrounded by ponds filled with water lilies and provide a feeling of floating on water that evokes a sense of healing and calmness. The water theme continues through to the relaxation area, which is surrounded by reflective pools and features suspended chairs to enhance the post-treatment renewal. 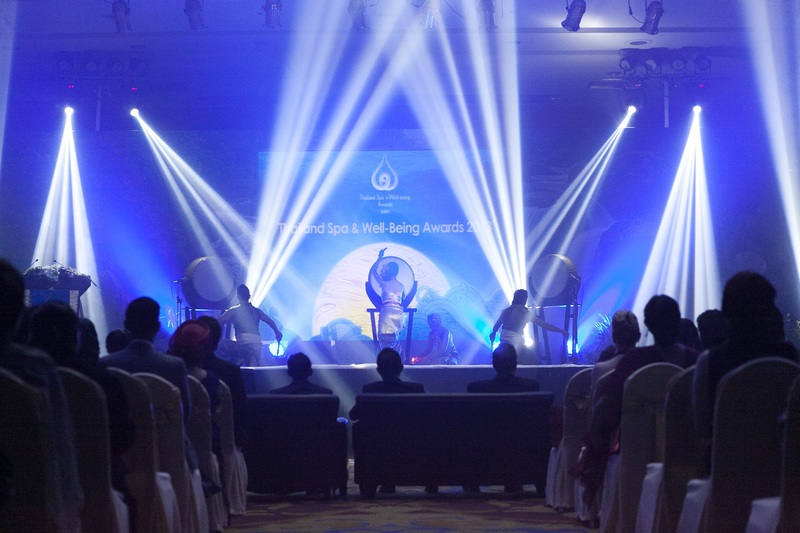 The sound of flowing water is enhanced by the sounds of Himalayan singing bowls displayed around the spa reception. There is also a retail area with a range of Six Senses products and gifts so guests can continue their wellness journey at home. One of the design highlights is the cave room which conjures up an image of a floating island catching orange rays of the setting sun. Created by LED lights, the colour is known for its positive effects on your alertness and activity levels. 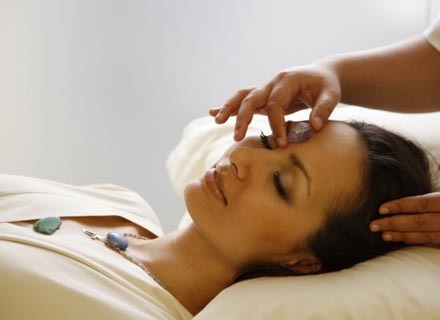 The spa offers a comprehensive menu of signature massages, facials and body treatments as well as specialist therapies and beauty to revitalize the body and calm the mind. Guests can kick-start their wellness routine with a three-day detox program combining specialist treatments with wellness cuisine and cleansing juices, Thai herbal supplements, fitness and yoga. Private and group classes of yoga, meditation and Tai Chi are also on offer. Evason Hua Hin is currently undergoing an exciting refurbishment program of its 192 guest accommodations and dining outlets. All guest rooms and pool villas will feature a fresh, new look with white wash finishes. Plunge pools in all 40 pool villas will be resurfaced with turquoise blue pool tiles. The resort’s room inventory will also include the introduction of Family Suites. The four Family Suites each feature two bedrooms with ensuite bathrooms, separate large living room, dining area and pantry. Dining outlets will be upgraded with new furniture, soft goods, and interior enhancements while the main infinity edge pool decking will be replaced with aged New Zealand pine. Work is expected to be completed by November 2014. EVASON HUA HIN is offering a two-night package from now until Dec. 23 that includes daily breakfast; a one-time time 90-minute treatment for two at its Six Senses Spa – choice of treatment of a Six Senses Signature massage, Holistic massage, Oriental Massage or Energizer Massage; and free usage of Steam and Sauna at Six Senses Spa. Rates are based on double occupancy: From now until Oct. 31, 2004, cost of an Evason Room is 10,700 THB; Evason Studio Room, 11,800 THB; and Evason Pool Villa, 17,200. From Nov. 1 to Dec. 23, 2004, the Evason Room is booked at 11,900; Evason Studio, 14,600 THB; and Evason Pool Villa, 21,600 THB. For more information: email reservations-huahin@evasonresorts.com or call 66 3263 2111. SONEVA IS OFFERING a special package for visitors who would like to experience Soneva Kiri in Thailand and Soneva Fushi in the Maldives in the same week. The package comes with a promise of “one of the most perfect weeks imaginable” that includes a selection of Soneva’s SLOW LIFE experiences for which Soneva has become well known. Soneva Kiri is set amid an untamed jungle, unspoiled beaches – one hour’s flight aboard the resort’s private plane from Bangkok – and features large villas and even larger beachfront private residences, infinity pools, personal electric buggies, Cinema Paradiso, Benz restaurant in an emerald forest of mangroves, the Observatory, The Den and Treepod dining. Soneva Fushi is described as the original desert island hideaway, offering large multi-bedroom villas within touching distance of a pristine Biosphere UNESCO Protected Coral Reef on its own atoll; cycling trails; The Den, water sports, outdoor films at Cinema Paradiso, 60 flavours of ice cream; 11 types of pillows; 500 wines; and nine ways to dine. Cost for one week, based for two people ranges from US$15,700 from August to $US21,100 in March 2015. For booking or further information, call 66 (0) 2 208 888 or email reservations-kiri.soneva.com. THE YOUNG INNOVATIVE HUSBAND AND WIFE COOKING DUO Duangporn Songvisava, known as – Khun Bo – and Dylan Jones will be coming to Six Senses Yao Noi on Oct. 4 and 5, 2014 for two gourmet events. 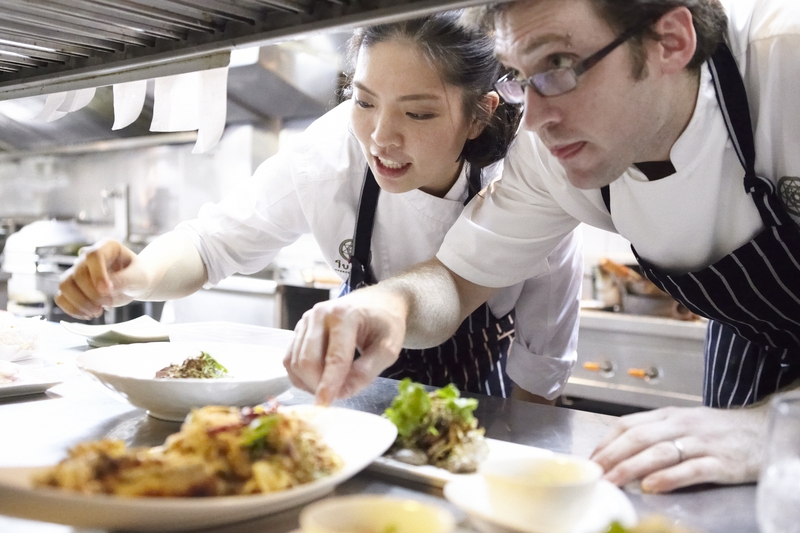 Thai-born Khun Bo and Australian Dylan Jones, opened their Thai restaurant Bo.lan in Bangkok several years ago in the belief that the best Thai restaurants in the world should be found in Thailand. Bo.lan became an instant success with its philosophy of respecting original Thai recipes, and sourcing ingredients of certified provenance or growing their own, as they now do. With an emphasis on local, organic and wholesome raw ingredients, combined with authentic original presentation, their restaurant has now firmly established itself as a “must dine” experience in Bangkok. Saturday Oct. 4 – Cooking with Bo.lan – Under the direction of Khun Bo and Dylan and the Six Senses chefs, guests will experience a meal with a difference. Guests will cook their dinner course by course, guided by Khun Bo and Dylan at the resort open air Chefs Table. The meal will be paired with wines from Thailand’s internationally awarded wine estate GranMonte. Guests will not only taste the famous dishes from Bo.lan, but also learn how to make them. The dinner is priced at 3,300 THB per person. Sunday October 5, 2014 – Hilltop dinner – The iconic poolside hilltop villa, a communal table sampling Khun Bo and Dylan’s favorite Thai dishes under the stars will be featured. A wide selection of wines will be offered to complement each course. The Hilltop dinner is priced at 4,000 THB per person. VOTING IS UNDERWAY to select winners for the third annual Thailand Spa & Well-Being Awards ceremony at this year’s black tie, invitation-only awards night dinner on Sept. 19. Since being launched in 2012, the number of nominees has been growing annually and now tops 110 for the nine People’s Choice and for the nine Industry categories. “It has been especially rewarding to see so many new faces amongst the nominees in both industry and People’s Choice categories, but ultimately it all comes down to the total number of votes as to who will win,” said Andrew Jacka, president of the Thai Spa Association. As in past years, the voting will be supervised by KPMG Phoomchai Audit Co. Ltd., with the results known only to them until the seal is broken and the winners announced on the awards night. The Exhibition category will be voted on Sept. 18 by exhibitors at WSWC2014. Innovative Spa or Wellness Cuisine – Chiva-Som International Health Resort Co., Ltd, Hua Hin; Orawana, Bangkok; and St. Carlos Medical Spa, Bangkok. Innovative Spa Treament – Stellar Sanctuary, Devarana Spa, Thailand; ESPA Pre and Post-Natal Treatment, ESPA, Phulay Bay, a Ritz Carlton Reserve, Krabi; Sand Therapy, Imperial Spa – The Imperial Boat House Beach Resort, Koh Samui; Flower Power Collection, In Balance Spa, Novotel Phuket Vintage Park; Salt Therapy, Linger Longer Spa, Layana Resort & Spa, Koh Lanta; Hot Herbal Compress Massage, Maikhao Dream Spa, Maikhao Dream Resort & Spa, Phang Nga; Orawana Blissful Bliss, Orawana, Bangkok; Hydro Glow & Tone. 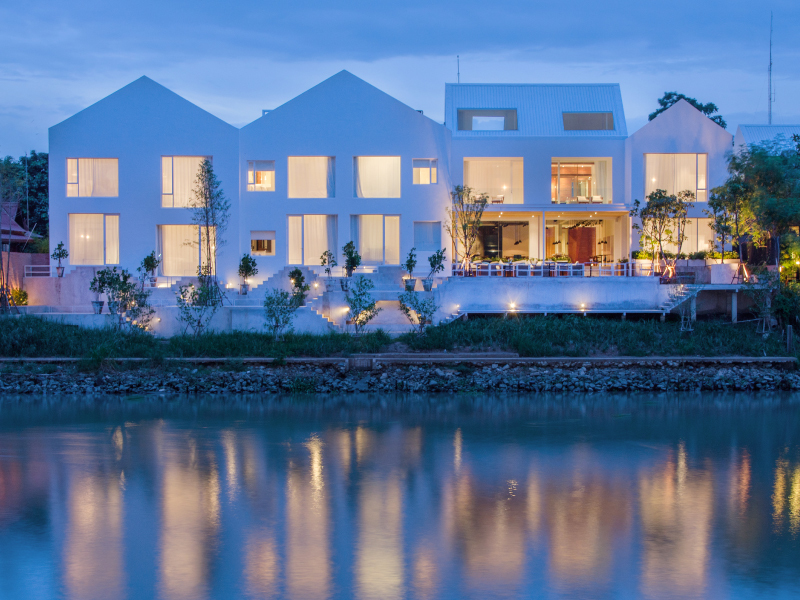 RarinJinda Wellness Spa, Chiang Mai ; Swasana Massage, Swasana Spa, Impiana Resort Patong, Phuket; Sparkling Foot Massage, Tea Tree Spa, Holiday Inn Pattaya; and Integrative Anti-aging Gracefully, TRIA Re-Life Villa, Bangkok. Innovative Spa Menu – Imperial Spa – The Imperial Boat House Beach Resort, Koh Samui; Orawana, Bangkok; Ramburi Spa, Eastin Makkasan Hotel, Bangkok; RarinJinda Wellness Spa, Chiang Mai; So Spa, Sofitel So Bangkok. 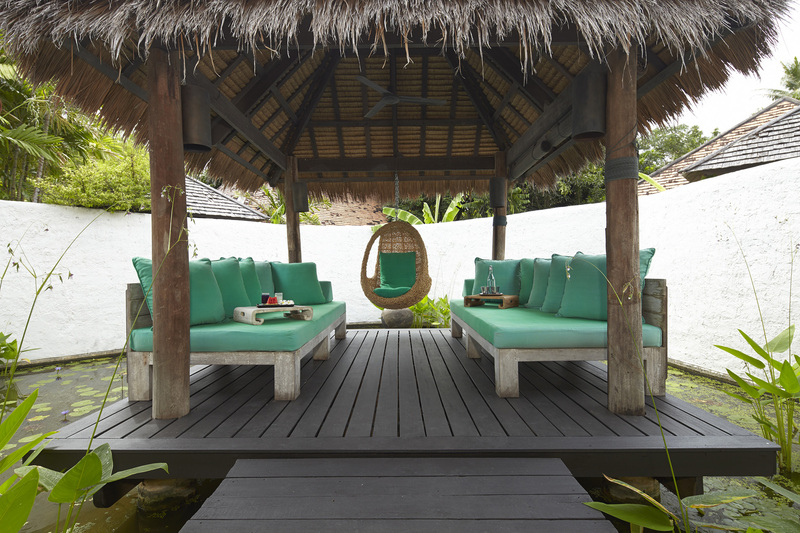 Green Spa — Chiva-Som International Health Resort Co., Ltd, Hua Hin; Le Spa, Le Meridien Phuket Beach Resort; Paradee Spa, Koh Samed; Prana Spa, The Tongsai Bay, Koh Samui; Six Senses Spa at Six Senses Yao Noi, Phang Nga; and Six Senses Spa at Soneva Kiri, Koh Kood. Creative Spa Design – Away Spa, W Bangkok; Devarana Spa, Dusit Thani, Bangkok; evarana Spa, Dusit Thani, Hua Hin; Elemis Spa, The St. Regis Hotel, Bangkok; ESPA, Phulay Bay, a Ritz Carlton Reserve, Krabi; Maikhao Dream Spa, Maikhao Dream Resort & Spa, Phang Nga; Quan Spa, Renaissance Phuket Resort & Spa; Six Senses Spa at Soneva Kiri, Koh Kood; S Sense Spa, Ekamai, Bangkok; The Barai, Hua Hin ; andRIA Re-Life Villa, Bangkok. Natural Product –AKA Organics (Make Scents); Botanical Collection (Devarana Spa); Derma Juize; Harnn; I Plus Q; Puri Alchem; and Yuthika. Organic Product – AKA Organics (Make Scents); Panpuri Organic Spa; Secret Elements (IplusQ); SpaRitua;; and Voya . Spa Product – AKA – The Oriental Wellness (Make Scents); Algoane Paris (Make Scents); Anne Semonin; Banyan Tree Gallery Spa Products; Comfort Zone; Erb; Hohm Skin Care; Mango Thai Delight (Breeze Spa); Panpuri; Ramburi; Skin Ritual Collection – Face Care (IplusQ); and SpaRitual. Spa Educator (organization, company or individual) – DTC Spa, Dusit Thani College, Bangkok; Sarah Gieghase (IBS Beauty, Bangkok); and Pisarmorn Patthum (IBS Beauty, Bangkok). New Spa – Let’s Relax, Mandarin Hotel, Samya; Orawan – Holistic Beauty Spa, Bangkok; and Ramburi Spa, Eastin Makkasan Hotel, Bangkok. Traditional Thai Experience – Cheeva Spa, Chiang Mai; Maikhao Dream Spa, Maikhao Dream Resort & Spa, Phang Nga; Mandara Spa, J.W. Marriott Phuket Resort & Spa; Oriental Spa, Mandarin Oriental Bangkok; So SPA, Sofitel So Bangkok; Spa Cenvaree, Centara Grand @ Central Plaza Ladprao; Wareerak Hot Spring Spa, Krabi. Amazing Day Spa – Let’s Relax Terminal 21, Bangkok; Panpuri Organic Spa, Bangkok; and Wareerak Hot Spring Spa, Krabi. Amazing Resort Spa – Coqoon Spa, Indigo Pearl, Phuket; Devarana Spa, Dusit Thani Hua Hin; Devarana Spa, Dusit Thani Pattaya; ESPA, Phulay Bay a Ritz Carlton Reserve, Krabi; Le Spa, Le Meridien Phuket Beach Resort; Maikhao Dream Spa, Maikhao Dream Resort & Spa, Phang Nga; Panviman Spa, Panviman Resort, Koh Phangan; Quan Spa, Renaissance Phuket Resort & Spa; Six Senses Spa at Six Senses Yao Noi, Phang Nga; Six Senses Spa at Soneva Kiri, Koh Kood; Spa Cenvaree, Centara Grand Beach Resort & Villas, Krabi; and The Barai, Hua Hin. 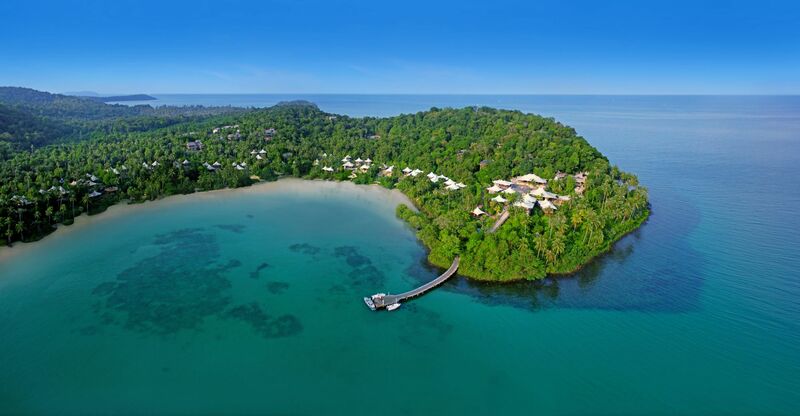 Amazing Medical Spa or Wellness Spa – Kamalaya Wellness Sanctuary & Holistic Spa, Koh Samui; Orawana, Bangkok; RarinJinda Wellness Spa ,Chiang Mai; Six Senses Spa at Soneva Kiri, Koh Kood; and TRIA Re-Life Villa, Bangkok. Innovative Marketing Campaign – Dream Mood Therapy; B2B Market Place website (www.welify.com) launch; and Let’s Relax Android App. Amazing Value for Money Spa – Let’s Relax Spa, Terminal 21, Bangkok; Maikhao Dream Spa, Maikhao Dream Resort & Spa, Phang Nga; Panpuri Organic Spa; and Spa Cenvaree @ Nova Hotel & Spa, Pattaya. 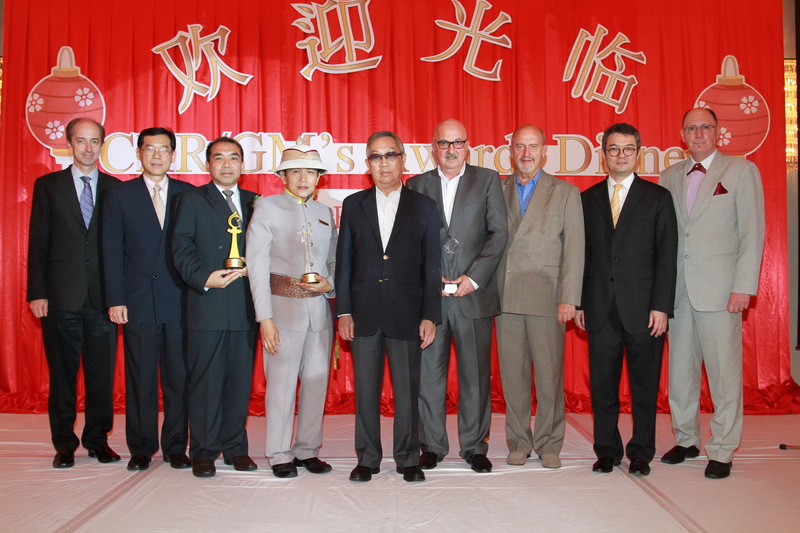 Hall of Fame – Awarded at the sole discretion of the board of the Thai Spa Association. LA VIE – CREATIVE FRENCH CUISINE and YTSB – Yellow Tail Sushi Bar – at VIE Hotel Bangkok are offering special deals for Mother’s Day. At La VIE, mothers will be treated to a welcome drink and hors d’oeuvres on Tuesday, Aug.12, from noon to 3 pm. This will be followed by a three-course French lunch, complemented with six specially created healthy drinks at a cost of 120 THB per glass. Noon arrivals will receive a welcome drink, made with jasmine flowers, in a traditional bowl.The cocktail reception includes hors d’oeuvres such as Raclette Cheese, De Claire Oysters, Spanish Serrano Ham, and Salmon and Foie Gras Terrines with French bread. Cost – 750 THB per set per person. Mothers will also receive a 50% discount as well as special gifts with lucky draws and prizes for every mother who attends. 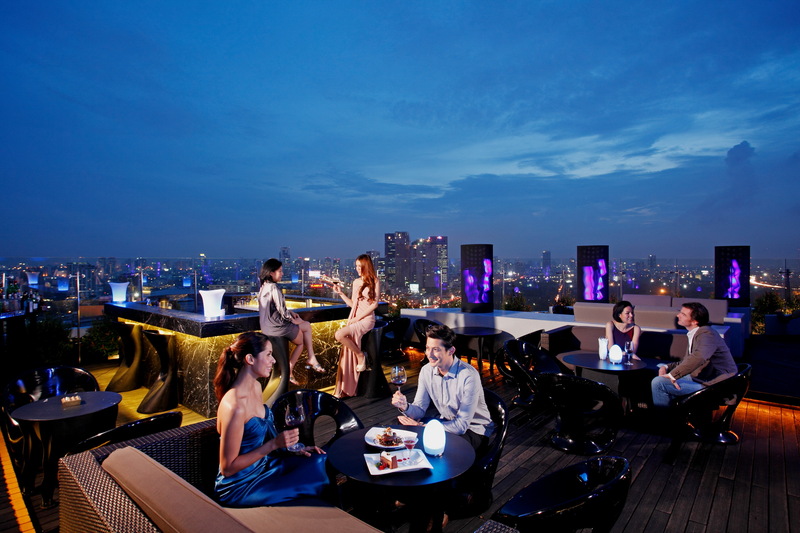 There is an additional charge of 550THB for free-flow wine and sparkling wine. Prizes for mothers include (Only 1 prize per mother): Two days and one night accommodation in a Deluxe Suite with breakfast for two persons (valued at 17,000 THB) two days one one night accommodation in a Deluxe Room with breakfast for two persons (valued at 8,500 THB) and a 500 THB VIE value voucher for use at any of the hotel’s outlets. YSTB will be serving a Japanese lunch from Aug. 8-12 from 11:30 am to 2:30 pm. Five new Kaiseki set menus will be offered for these special days so Mom can enjoy the beautiful tradition of Kaiseki, which relies on perfect and colourful arrangements of the dishes. The lunch is priced at 559 THB and mothers receive 50% off, plus lucky prizes, including a YTSB cash voucher valued at THB 1,000 THB for dinner OR three pieces of YTSB Signature Sushi.
. Ayutthaya, once considered one of the world’s greatest cities is one of Thailand’s most historical highlights. The former glory of this ancient kingdom’s capital is reflected in the many ruins and temples littered throughout the city. The special opening rates are available from Aug.1 to Oct. 31, 2014, with rooms available for as low as 3,200 TBH per night. Contact stay@salaayutthaya.com or call 66 (0) 3524 2588 for reservations or further information.